‘Tis the season, glitzy broads! Let the holiday cheer flow freely at each of the many spirited events happening over the next month--celebrations among friends, your company holiday party, or perhaps an extravagant charity gala. All is jolly and merry in the excitement leading up to party season. Until you take a look at your closet and don’t have a clue how you are supposed to dress for the frenzy of festivities. Casual? Business formal? Business casual? Cocktail; cocktail formal; semi-formal; formal; black tie . . . . What do all of these dress codes actually entail? No need to fret. 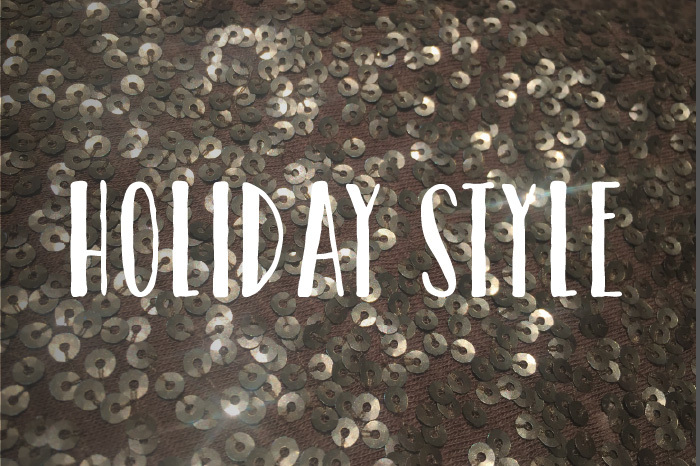 I’ve got the info you need to navigate your way through the holi-daze and ensure you are looking great for each of the four common themes of festive fancy ‘code’. Time to get excited for a pretty fancy occasion. Ideally, you’ll want to put on a beautiful, long gown. We’re talking nearly-hits-the-floor-long. You can’t go wrong with this graceful and sophisticated style. Though, you could also go with a more lavish cocktail dress. Think about what the host of the event will be wearing, and dress accordingly. Depending on the affair, you could be good to go with your fav LBD (Little Black Dress) and either a pair of statement earrings or a classic statement necklace, depending on the dress neckline, of course. I encourage you to also consider a ‘more is more’ full-coverage approach, there is something so elegant about long sleeves over the holiday season. We’re always wanting a reason to really dress up, aren’t we, ladies? Well, take advantage of these formal events this season, and go all out! This is your chance to be the belle of the ball. Though a little less formal, you’ll want to approach these types of events in a similarly elegant and classy way. “Cocktail attire,” however, is your chance to have a little more fun with your look. Typically a shorter dress--though nothing too flashy--is a good way to go. Again, an LBD works well, but if you want to do something other than black, pick something bright, flirty and feminine. Another option would be a skirt and top combo. 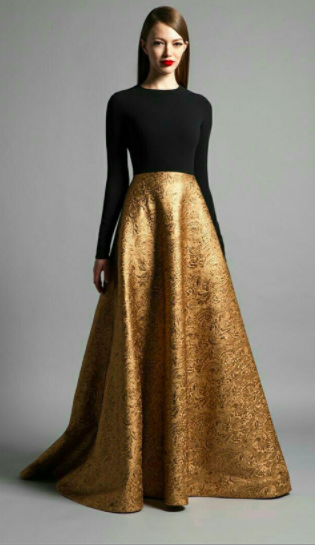 There are some elegant and festive skirts out there that will do all the ‘work’ for you. Tuck in an embellished sleeveless top and throw on a pair of statement earrings, and you’ll have a multi-piece, well put-together ensemble to dazzle fellow partygoers. Not a dress person? Go ahead and rock a pair of pretty pants--cropped or ankle length so you can show off your amazing, fun pair of holiday stilettos. Pick a fun-fabric pant that is noticeably chic, such as lace, jacquard, or sequins--get that sparkle on, girl! You’re headed to an event that is bit more conservative, but that doesn’t mean you can’t still rock your look and stand out from the crowd. Pants and a blazer are a great go-to. Don’t think suit, though. Go for a fitted blazer on top, paired with a cropped pant style so you can have some fun with your real estate on the very bottom. I mean, let your shoes be your ‘pop’! Just because it’s a more conventional outfit, doesn’t mean you can’t don some flare. And of course, accessorizing goes a long way here. Spice it up! If you’d like to go for a more feminine look, throw on a pencil skirt that is sure to draw attention--go for the leather! (Or faux leather, no one will know.) Tuck in a pretty sweater or blouse, accessorize appropriately, wrap a shiny belt around that waist of yours and step into your best pair of black stilettos. Gorgeous. If the event happens to be labeled Business formal, go for a pantsuit or a tailored dress. Brighten up your ensemble with sparkly jewelry. And then there are the more casual holiday gatherings you’ll find yourself bopping around to throughout the cool weeks of December. ‘Causal’, still means you are able to show some holidazzle with your look. This is your opportunity to get creative and have fun with it! Denim on the bottom is perfectly acceptable. A dark pair of skinny jeans, a simple tee, and heels. So easy. But don’t forget the glitz. Throw on a shiny/sparkly blazer. Outfit complete. A lacy black cami with a loose boyfriend cardigan sweater over the top is another great approach. Cool and chic. Dab on some red lipstick, and you’re instantly party-ready. Repurpose a fancy skirt from a cocktail event as a toned down, casual outfit. Offset the fanciness of the skirt with a more modest and simple top. Think basic long-sleeve tee or even a loose sweatshirt style. It’s all about the balance. Red lips are the key. Whether the perfect dress is already hanging in your closet, or you now have an excuse to splurge on that dazzling new piece you’ve been mulling like spiced cider, you are set for whatever party you sled into. One thing to keep in mind as you attempt to plan your perfect look for each: It’s better to be overdressed than underdressed. Always. Now, will someone please point me in the direction of the mistletoe?! (Right after I make a stop at the bar, of course.) Cheers, broads!